Going out at night, calls for a good outfit. I wanted to wear something comfortable, but modern, since I will be walking around NYC all night. I picked a pair of comfy booties from Toms, it’s my favorite pair of booties that’s made for walking long distance, while looking good. I wore a pair of cream color shorts from Banana Republic, because it is still the summer, so it’s pretty hot and humid out. I love the detailing on the shorts, it makes a simple pair of shorts look sophisticated. I wore a halter top tank with lace detailing on the bottom as my top, from Marshalls. Since the shirt itself is a little see through, I decided to pair my white blazer from Banana Republic over it. I folded the sleeves up a little, to give it a casual feel to my outfit. To tie it all together, I wore my brown Calvin Klein bag, to give it some color. Even though not all my items were the perfect shade of white, but it worked. The different shades of white, gave my outfit character. It wasn’t super modern and blend, but it gave it dimension. It’s now one of my new favorite outfit of all time, it’s simple, yet modern. What’s your idea of simple and modern outfits?? Have you guys ever heard of the site SHOWPO?? Well if you haven’t, then you’re definitely MISSING OUT. This site is filled with beautiful and affordable clothing for girls ages 18+. I’ve picked out my top 10 my favorite items from their site, check it out! Showpo started off as Show Pony in a little garage in Sydney back in September 2010. Jane, our founder, was so bored in her corporate job as a business analyst, and coudn’t imagine spending the rest of her life between those grey cubicle walls, so quit her job and started Showpo. She had a dream to provide girls with fun, on-trend fashion for a really great price that is affordable for all. We opened our first store merely two months after opening, and soon another in Sydney CBD Westfield. Through channelling social media and staying at the forefront of new innovative trends, Showpo has managed to excel in the highly competitive women’s fashion industry. In January 2013 we closed down our bricks and mortar store, a great day for us because the online sector is skyrocketing and it meant we could focus all our efforts on the most profitable and saleable part of the business. Today, Showpo has 11 happy staff members and is growing at an exponential rate. If you step into our office, you will find the space abuzz with awesome music, camera snaps, typing fingers and laughter! We have a really great office environment and our team is constantly growing. As Jane calls it “it’s just like high school, you get to hang out with your friends every day, but the assignments are fun and there’s no detention!” Our office is adorably white and pink – and the “Pony Lounge” chill out area (our fave place for a few cheeky Friday after work drinks) is decked out in sweet tunes, comfy couches and always good times! We even have a bed in our office if you need a quick snooze after a big night! The flow in and out of colourful stock keeps our world going round. We are constantly seeking out best practices, and innovative new strategies to further the business and we of course love looking after our online community of happy shoppers! Showpo aims to be the largest online boutique retailer of women’s fashion in Australia, and then who knows… THE WORLD! and though we are well on our way to achieving our goals, there is still a long way to go! A top priority is to nurture our community of quirky, bright and bubbly Showpo girls! 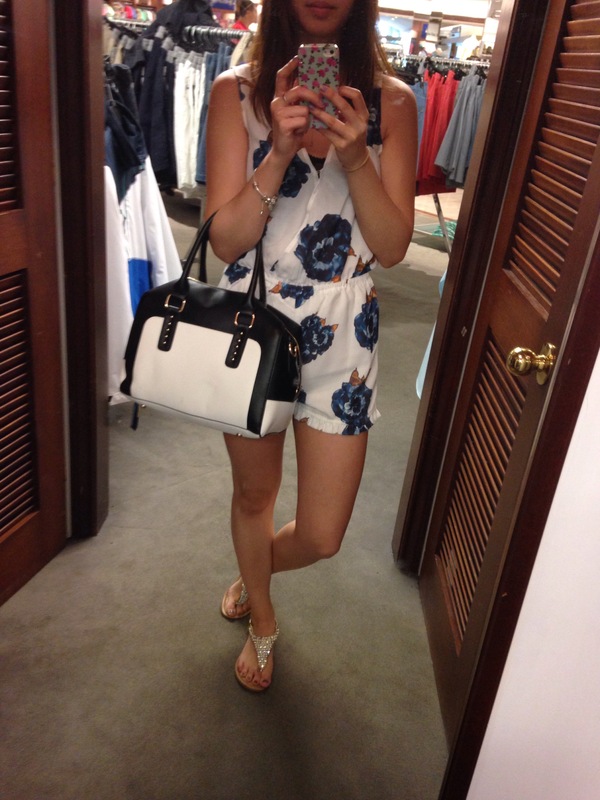 Tell me your favorite summer outfit! Follow me on social media, I follow back! I got mine at JCPenny, obviously with coupons; because let’s be honest – clothes are expensive. 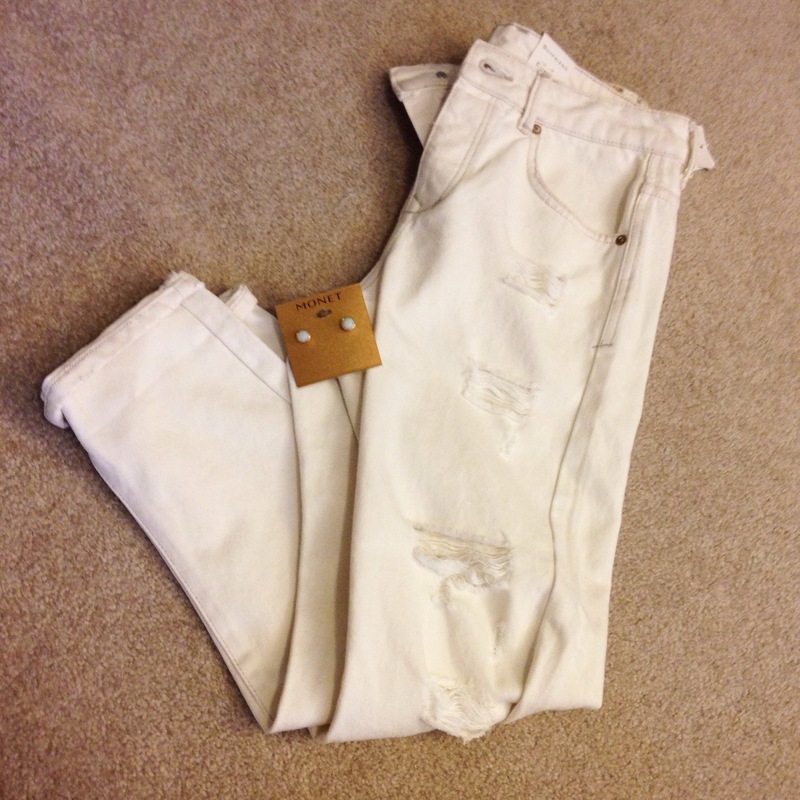 These white boyfriend jeans were originally $60, but they were on sale for $19.99. Then, I had a $10 off coupon with 20% off or something like that; so I also got a pair of earrings ($9.99). The total for the two items came to be – $10!! How awesome is that? 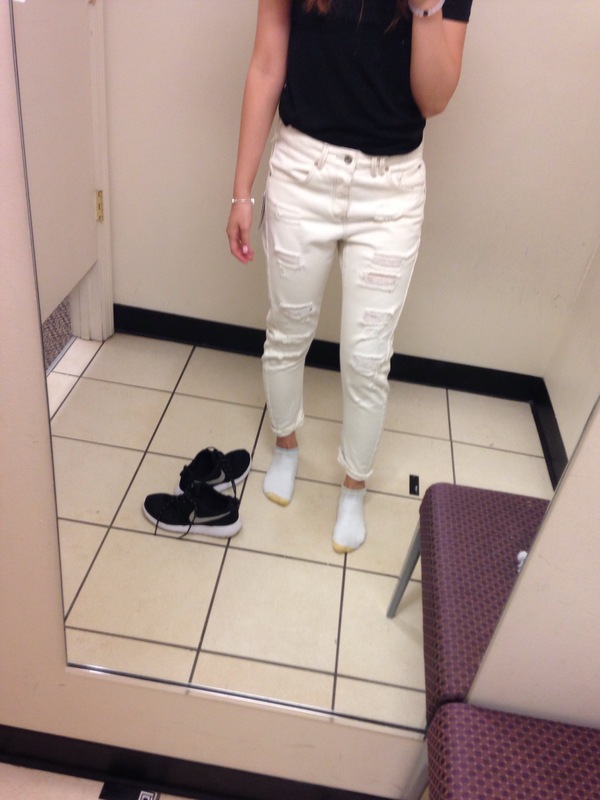 ** Mango is a brand in JCPenny, and it sells such great quality clothing and a lot of it is business casual.